AGE/DIVISION: 44/haven`t found one yet. 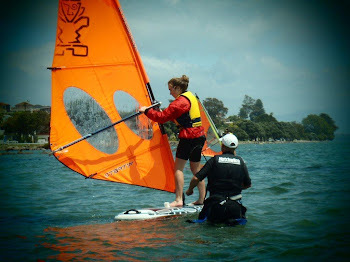 WHEN DID YOU START WINDSURFING? On and off since 12, but seriously into it for about the last five years. 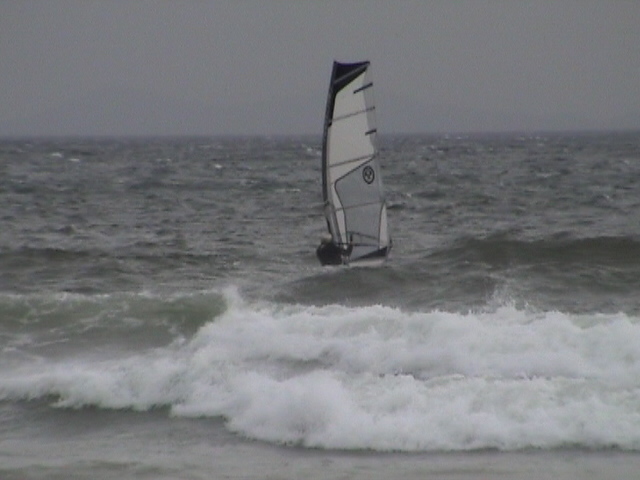 FAVOURED DISCIPLINE: Planing on a slalom board or hooking into some swell off the coast. Pretty much anything. 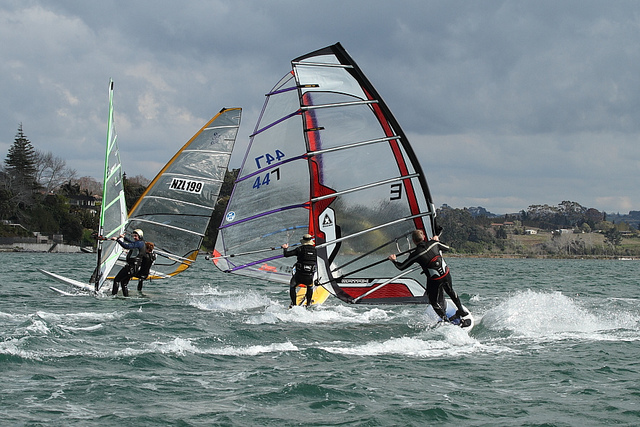 PREFERRED SETUP AND/OR CONDITIONS: Anything that gets you planning on the day/25-45knots. 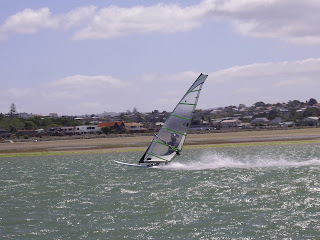 FAVOURITE NZ SAILING SPOTS? 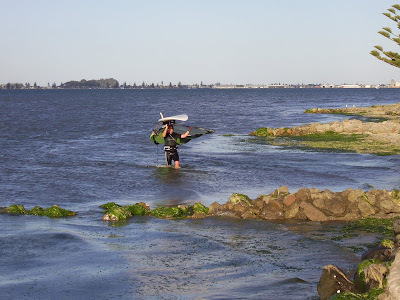 Our own Tauranga harbour, Waitara, anywhere it`s blowing. DREAM GLOBAL SAILING SPOT? All those groovy looking spots in the windsurf mags. FAVOURITE ALL TIME SAILOR? The guy who wants to go sailing with a good vibe, have a good time and share it with his mates. 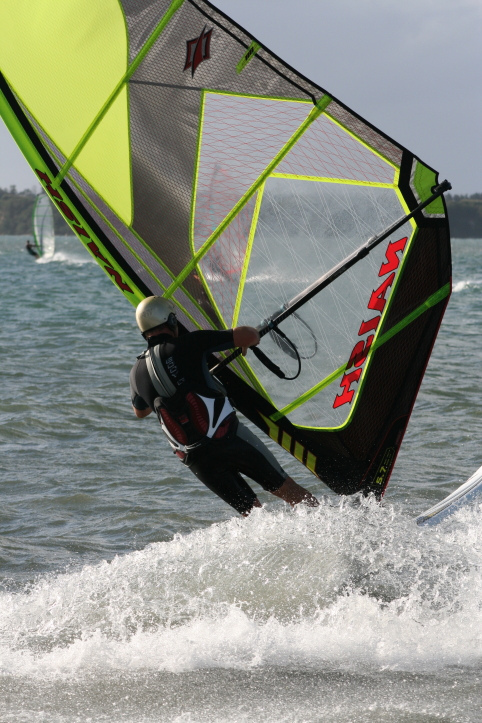 YOUR WINDSURFING NEMISIS? Pungarehu on a big day! WHAT GEAR DO YOU REGRET LETTING GO, (IF ANY)? Possibly my Exocet S4. That board could get planing with a sparrow’s fart, it just topped out pretty quick in the chop when the wind picked up a bit. GNARLIEST WINDSURF WIPEOUT AND/OR RESULTING INJURY? A few catapults over the front/I bashed my hip pretty bad once getting slammed on a nuking day. BEST AND WORST WINDSURFING INVENTIONS/INNOVATIONS? The best was the clamp on boom for me. I never got the knack of tying one on. Also footstraps, how did we sail without them! I can`t think of anything bad although those chest harness`s and fluro nappies looked a bit loud. The gear is always evolving in design and materials. Anything that doesn`t work, doesn`t last long. It`s one thing to blast off into the sunset but if it can`t go the distance and get you back to shore,….. you don`t go home. ANY THOUGHTS ON WHERE THE SPORT HAS COME FROM, AND WHERE IT IS HEADING? 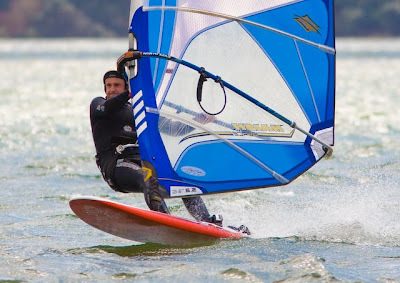 Windsurfing was huge and still is, but it has more competition and distractions these days from Xbox, computer games etc and of course Kite boarding. I`ve always wanted to take a newbie out on a Starboard tandem on a nice day and see the reaction when you hit that planning speed. Windsurfing will only be around as long as there are stoked sailors out there carving it up and keeping the visible profile of the sport open to people who see it, like it, and want to give it a go. 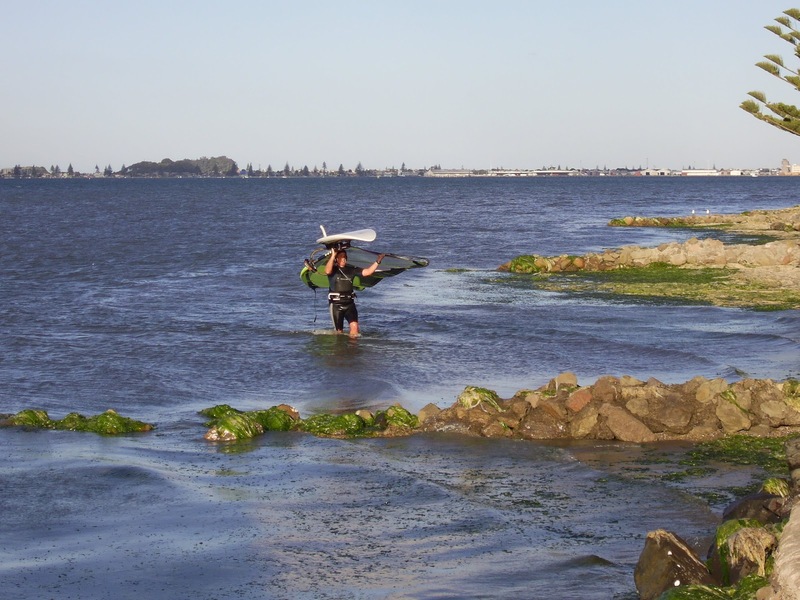 WHAT CAN BE DONE LOCALLY TO GROW AND PROMOTE WINDSURFING? Along with the contest days and advertising, you can`t beat having a high profile windsurfing centre, ie Elements, offering people the opportunity to give it a go after seeing someone blasting in the harbour or sailing off the coast and thinking about what a awesome looking sport that is! So get out on the water and show it off.